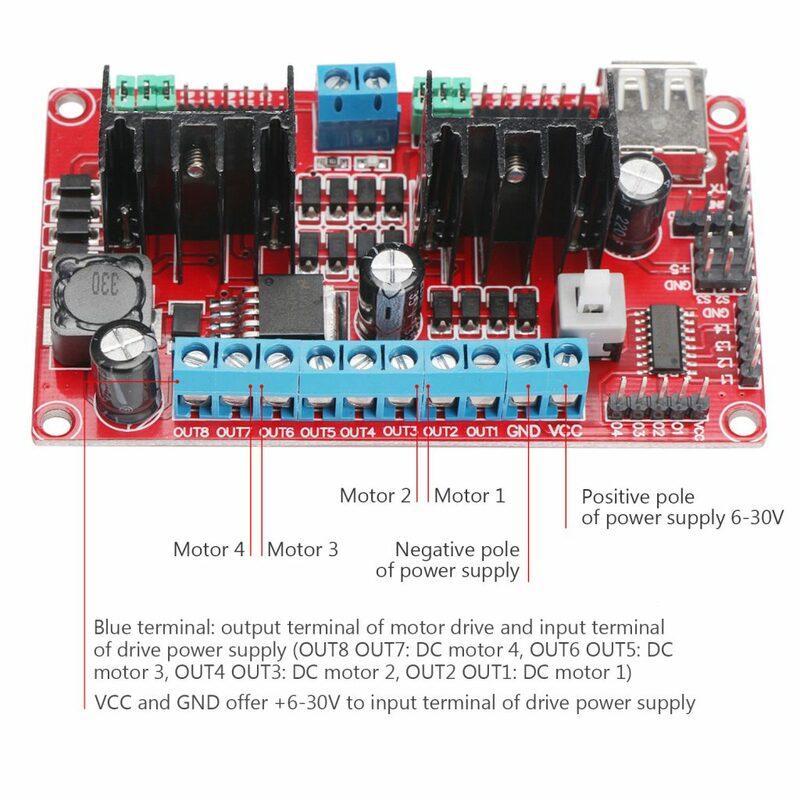 This dual L298N motor driver module, using ST's L298N new original chip, and high stability SMT process, with high-quality electrolytic capacitors to make the circuit work stably. 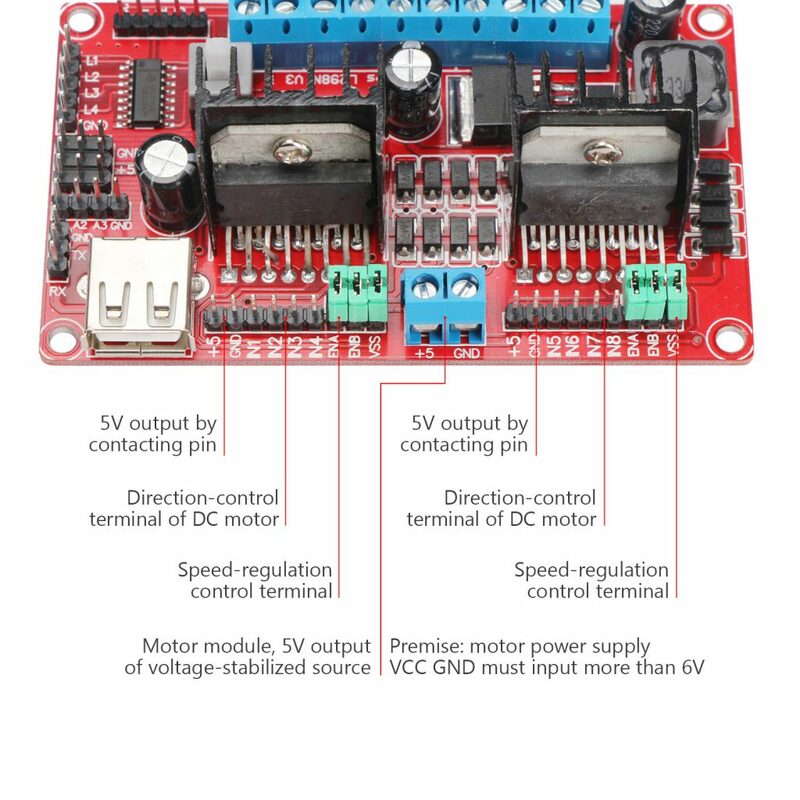 It can directly drive two 3~30V DC motor. 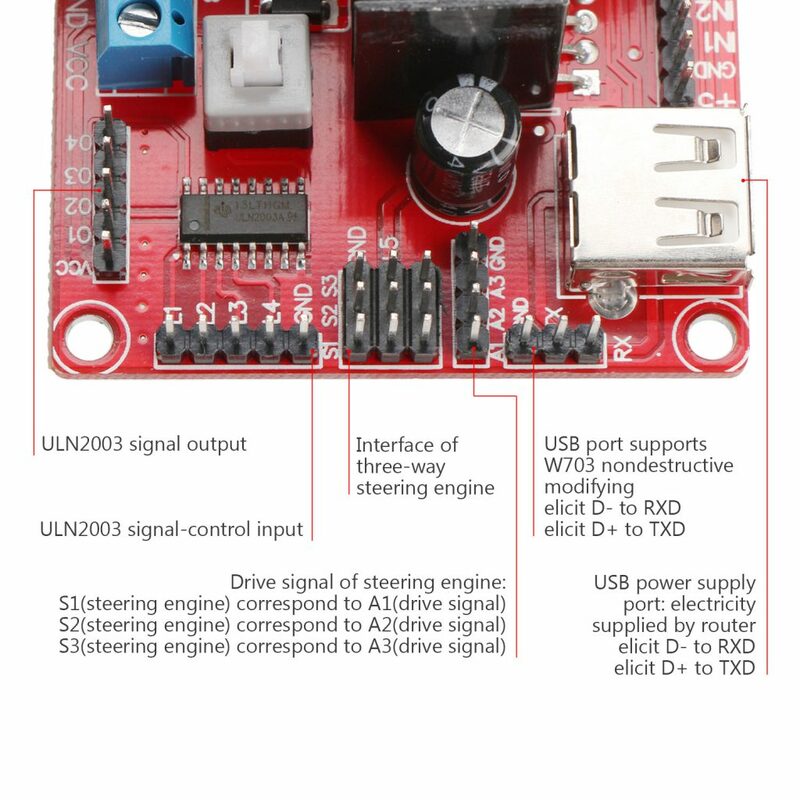 and it provides a 5V output interface (the min input is 6V) to power for 5V single-chip circuit (low ripple factor). 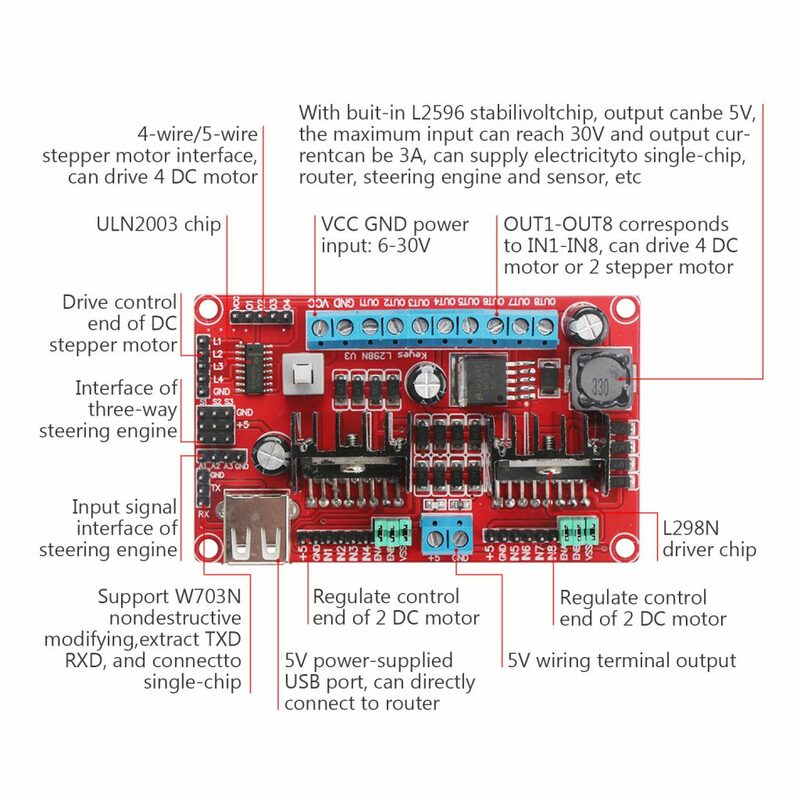 It also supports 3.3V MCU ARM control, you can easily control the speed and direction of DC motor, and control the 2-phase stepper motor, 5-wire 4-phase stepper motor.